Called “La Belle Riviere” (The Beautiful River) by early French explorers. The 981 miles of the Ohio River drain 203,940 square miles in 15 states. 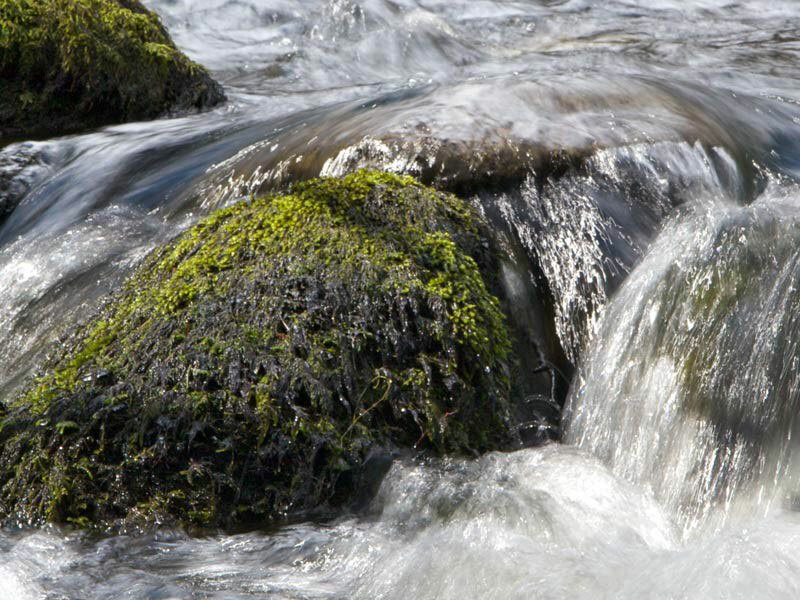 Despite its large watershed, less than five percent of the land drains directly into the main stem; instead, most of the Ohio River is fed by numerous tributaries including the Allegheny, Monongahela, Kanawha, Wabash, Green, Cumberland and Tennessee rivers. The Ohio River starts at the confluence of the Allegheny and Monongahela rivers at Pittsburgh, PA and borders or travels through six states—Pennsylvania, Ohio, West Virginia, Kentucky, Indiana, and Illinois—before emptying into the Mississippi River at Cairo, IL. The Ohio River is the largest tributary by volume of the Mississippi River. 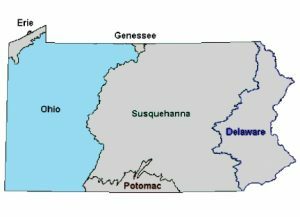 The Ohio Region is the second largest basin in Pennsylvania, covering 15,614 square miles, but the commonwealth only accounts for one-tenth of the entire basin. Approximately 25 million people (10 percent of the U.S. population) live in the Ohio River Basin, including 3.5 million Pennsylvanians, who rely on the river for transportation, water supply, and electricity generation. The Ohio Region has a temperate climate pattern. Mean minimum temperature ranges from 9 °F in the north to 19 °F in the south. The mean maximum temperature ranges from 75 °F in the east to 84 °F in the west. Average annual precipitation for the region ranges from 34 to 53 inches per year. In general, the northern and eastern areas of the region receive less precipitation compared to the western and southwestern area. Precipitation in the Ohio Region is varied from month to month. The northern part of the region receives the greatest amount of precipitation in June while the southern part receives the most precipitation during July. The least monthly precipitation usually occurs in November.